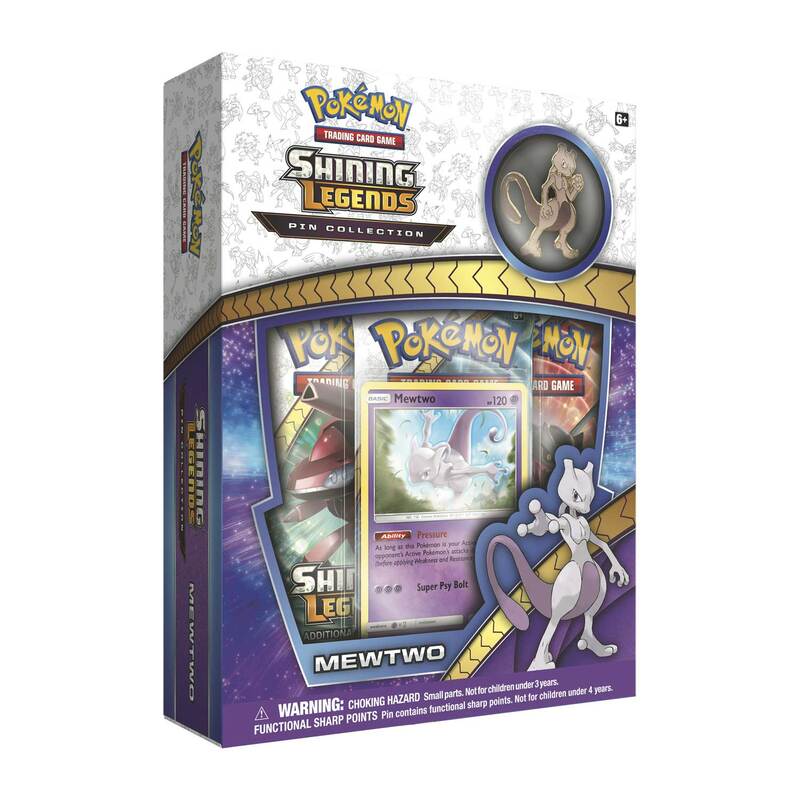 From its earliest days, the Legendary Pokémon Mewtwo has always been a formidable foe. 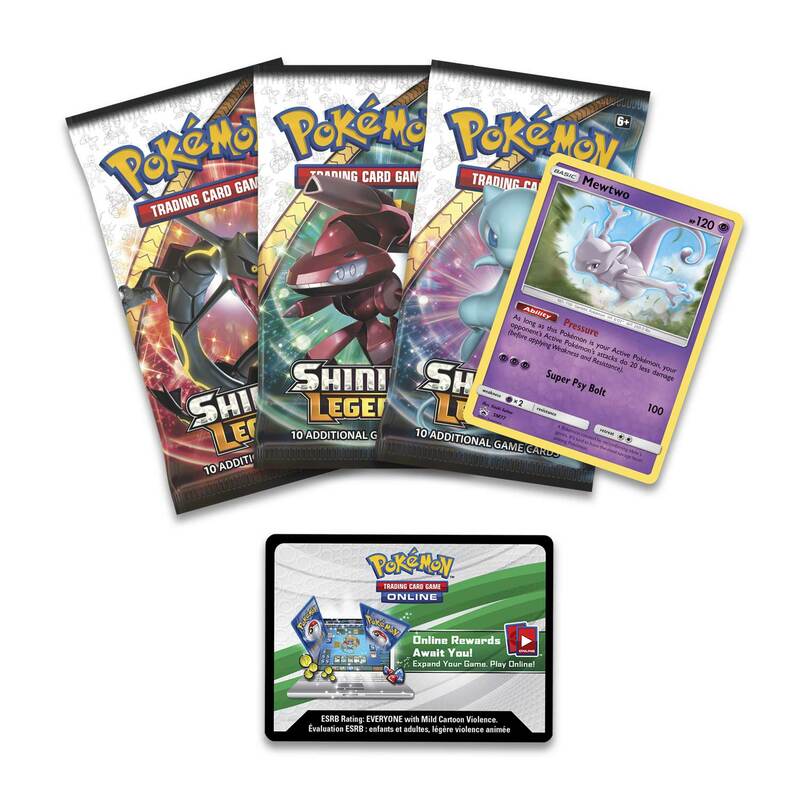 With this Pokémon TCG: Shining Legends Pin Collection, you get Mewtwo both as a never-before-seen, playable foil promo card, and as an awesome collector’s pin. 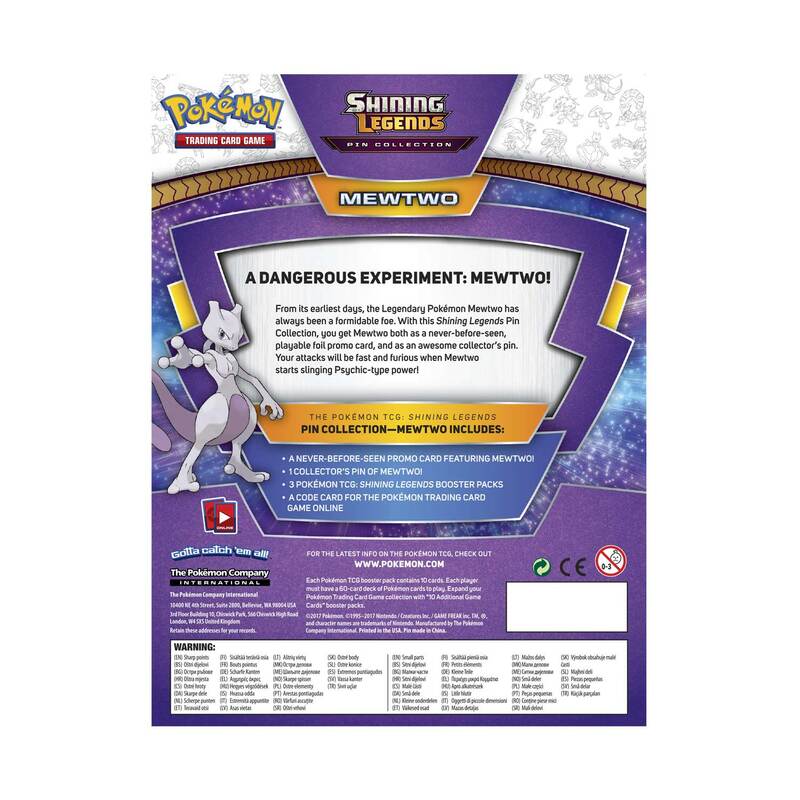 Your attacks will be fast and furious when Mewtwo starts slinging Psychic-type power! 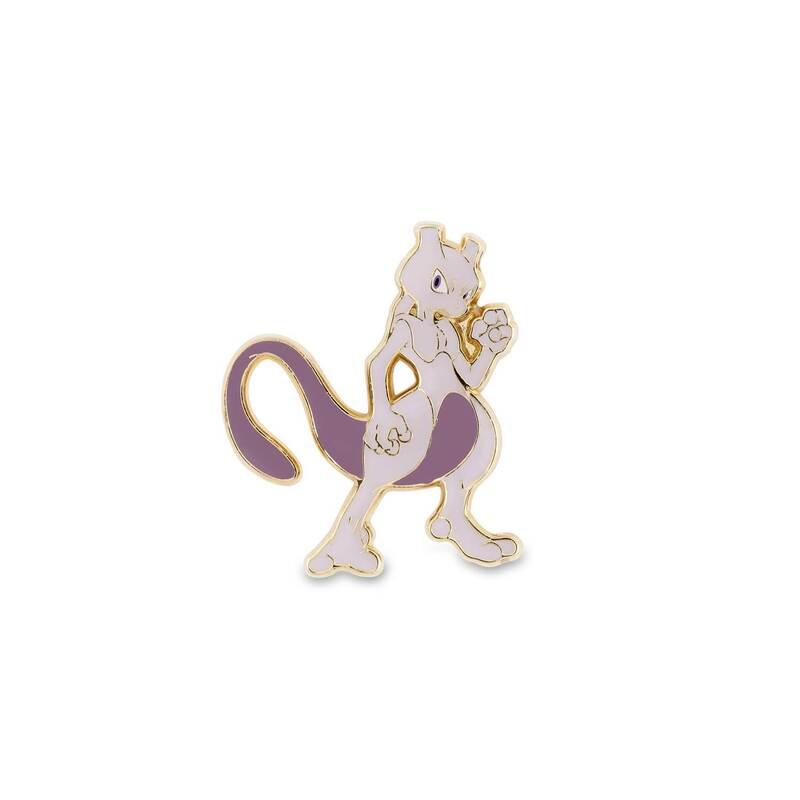 1 collector’s pin of Mewtwo!